Marco continues our series by unpackaging Christ's act of healing. Tyler introduces the series by sharing on the one act of two men that has shaped life as we know it. Tune in and discover more. Continuing on from his previous message on Marketplace Ministry, Tyler shares the keys to fruitfulness in the workplace. Following our 2019 Alight Women's conference, guest speaker Jen Baker shares what water walking faith looks like. Tune in and be inspired. 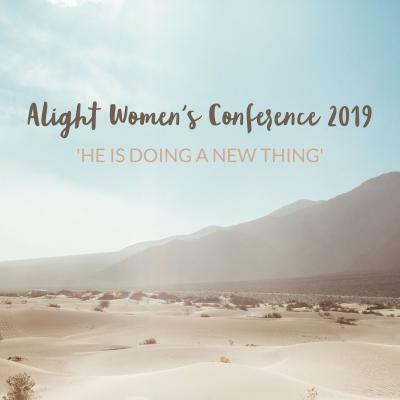 The morning session from the Alight Women's Conference 2019 with guest speaker Jen Baker. The afternoon session from the Alight Women's Conference with guest speaker Jen Baker. Whether we are in business, employment, or the church, we are all serving Jesus where we are. This morning, Tyler shares on Marketplace ministry, what it entails, but ultimately what our responsibility is wherever we find ourselves. Guest speaker, David Thompson, reveals the things that can block us from fulfilling our potential in Christ and how we can overcome them. Tyler concludes our series by outlining the fundamental basics for maintaining our lifelong freedom in Christ. This week, Marco uncovers how understanding who we are in Christ brings realisation that we have authority in His name. Wish shares how God can break repeated patterns of generational breakdown that cause us to have a fractured relationship with Him. If you're walking through difficulty, or facing a battle you cannot seem to win, why not tune in an be encouraged by this message. Loss and grief are experiences we all have and will face. Dwelling in these places can lead to patterns of thinking that lead to a depressive state. This week, Tyler shares how God gives freedom through these moments in our lives. Rejection is something many if not all all of us have faced at some point. Tyler shares important steps to being free from past hurt and the pain of rejection by revealing how worth and value is based upon what God thinks of you. Marco continues our series by underlining the importance of forgiveness. If this is an area of struggle, why not tune in and discover important principles that will help clarify the need to forgive others. "Our freedom starts from the inside out!" Tune in and discover what it means to fully commit to God by removing our artificial stabilisers. Tyler begins our series by looking back at the beginning and outlining the foundation, the cornerstone, on which our freedom is found and established. In our last service of 2018, Robin brings a challenge for us to not shape our present from our past, but to take stock, take decisions, and take action to press into what God has ahead of us. Tyler concludes our mini-series by focusing on the the birth of Christ and the perspective of the Magi. 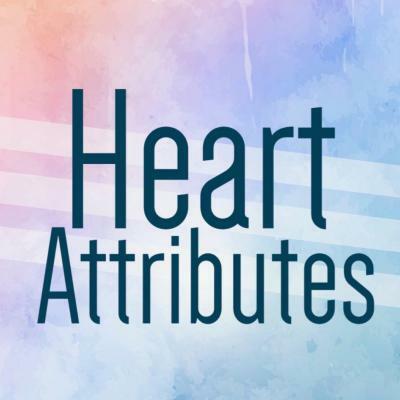 Marco continues our mini-series by challenging us to assess our hearts and identify the things that may be preventing or restricting our walk and relationship with Christ. Following a brief introduction to the series, Thomas refers to the apostle Paul in unpacking key principles to what it means to be an offering in Christ for others. Tyler concludes our series of 1 Peter by sharing on the final few verses of this Epistle. Ruth shares how painful 'fiery' trials are to be expected as a believer but uncovers key points outlined by Peter that will aid our response. Tyler continue our look at Peter's first letter by outlining what is means to lead lives set-apart for Christ. Tune in a discover four key principles in this passage that must be adhered to. Tune in as Tyler continues our journey through 1 Peter by bringing some insight on Peter's address to wives and husbands. Marco continues our series by looking at what Peter means by being submissive and to whom this applies. Tyler continues our series by outlining how we must understand our citizenship, live the truth, and keep growing. A challenging yet encouraging Word not to be missed. 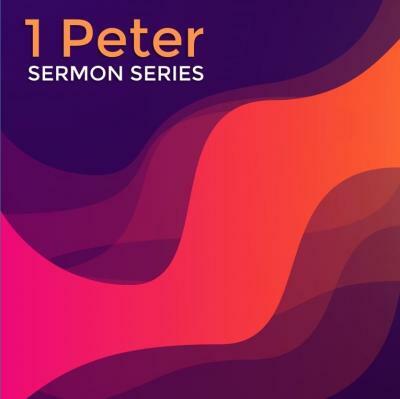 Tyler begins our series by looking at Peter's opening discourse, outlining how we must have a correct perspective, prepared minds, self-control, a clear focus, and a life that is set-apart. Tune in to find out more. This week, Wish shares a message that encourages, challenges, urges each of us to step up and dare to be different as we seek to be effective ambassadors of the Kingdom of God. Tune in to find out more! Tyler concludes our series by sharing on the final Heart Attribute 'Engaging'. What does it mean to be a community that actively engages with each other? How can you apply this to yourself? Tune in and find out. This week Marco continues are series by looking at the Heart Attribute 'Enlarging' - We are called to reach out to enlarge the Kingdom of God. Tyler continues our series by sharing on our Heart Attribute "Encountering" whereby we seek to move in the power of the Holy Spirit. Tune in and discover what this means for you. We all have different gifts and talents, both natural (what we are born with) and spiritual gifts, which are received when we come to Christ. Tyler continues our series by sharing on the Heart Attribute "Empowering". Tyler begins our series looking at the core heart attributes of Centre Church by sharing on the importance of imitating Christ, growing in our relationship with Christ, and investing in the lives of others. Why not listen in and be challenged. Seasons come and seasons go. Robin shares a Word on stepping into a new season and how we must embrace the good works God has prepared for us to do. This week Tyler shares on the importance of following Christ's example of being a host to all people. Tune in and discover what is means to pursue hospitality. "More people fail for a lack of encouragement". This week, Tyler shares on the importance of investing in the lives of others through encouragement. Take a listen and discover ways in which you can deposit courage to others in your daily life. Our newly appointed missions pastor shares part of his testimony as well as an on point message about being bold in telling of the things God has done, whilst also remembering what He has done in our own lives. Tune in and be encouraged. Thomas shares a message on the importance of recognising the season we are in and how this applies in our walk with God. Tyler concludes our series by sharing the importance of moving with compassion, walking in humility, and demonstrating our faith. Tune in and discover an encounter with Jesus that encompasses these key attributes. This week Tyler Evenson shares a different perspective on encountering Jesus. Tune in and discover what this means for you. Tune in as Ruth shares an insight on possible obstacles to encountering Jesus and what we must do in order to overcome them. Guest speaker, David Treneer, continues our series on encounters with Jesus by challenging us to live with a fresh vision of Jesus and move towards others as a result. 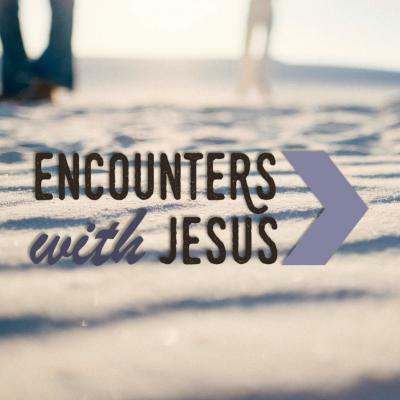 This week, Robin continues our series by sharing three encounters experienced with Jesus: Unexpected, hidden, and determined. Availability: The question is not where you are or where you are going, but rather who you are with. Be inspired as guest speaker, Pastor Edson, shares a challenging yet relevant message on being available. This week Tyler shares on the resurrection of Lazarus. Tune in and discover what it means to emerge from the tomb and to remove the grave clothes that have kept us captive. Guest speaker, Gavin Calver, shares on the Great Commission and the requirement for believers to carry it out. Tune in and be inspired. Tyler concludes our series sharing on David's characteristic of having a heart after God in times that are difficult or overwhelming. Have you ever wanted something so much that it consumes your entire thought process? This week Tyler outlines David's characteristic of having a deeper longing for God and how we can apply this to our walk with Him. Thomas continues our series by delving into another key characteristic of David - his honesty and transparency before God. Why not tune in and discover what this means in your own walk with God. Following on from Good Friday, Tyler shares the reason for celebrating - the resurrection of Christ. Tune in and be transformed by this event that brought the power of Gospel to each one of us. This week Robin shares on one of the most important characteristics of David - listening to God's Word and abiding by it. Why not tune in and see, with the Bible at our disposal, what this means for us. Tune in this week as guest speaker Andrew Parfitt shares a compelling thought on what is means to follow in David's footsteps and share the kindness of God to others. This week, Tyler shares on David's passion for God which was reflected in his worship of Him. The morning session of our Alight Women's Conference where guest speaker, Sarah Webber, shares on this years theme 'Rest for the Soul'. 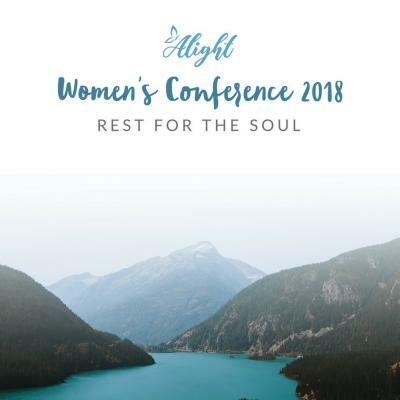 The afternoon session of our Alight Women's Conference where guest speaker, Sarah Webber, continues on this years theme, 'Rest for the Soul'. Tune in as Ruth Stephens concludes our series on Philippians, outlining what it means to be content. As we draw near to the end of our series on Philippians, Tyler shares with us a thought about the answer to all anxiety and fear. Have you ever questioned your value or your worth? Do you often compare yourself with others? Why not tune in as guest speaker, Mark Sherratt, uncovers the importance of identifying ourselves on what God says. Guest speaker Peter Goodchild shares a powerful message on what it means to follow God in faith and obedience. Why not tune in and discover what this means for you. This week Tyler continues our study through the book of Philippians, looking at Paul's words in chapter 3. Why not tune in and discover what it means to have 'no confidence in the flesh'. As we continue our series on Philippians, Tyler shares on the next section in chapter 2 of this epistle. Why not tune in and uncover the believers' response to Christ's humility and exaltation. 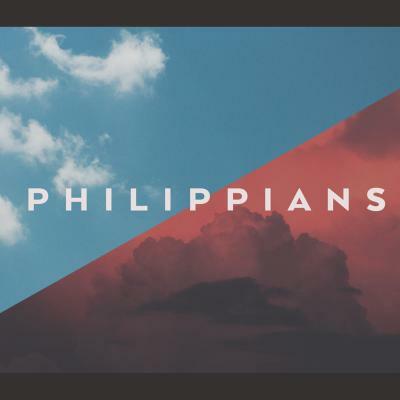 Tyler continues our series on Philippians by focusing on the second chapter of this letter written to the the church of Philippi. Tyler begins our latest series looking in depth at Paul's letter to the church in Philippi. Join with us to hear Robin Stephens' message right at the end of 2017 as we head into a new year and a new season as individuals and as a church. Join us as Tom shares a Christmas message from the gospel of Matthew looking at different perspectives. This morning Tyler shares a message, drawing on the life of Elisha. He discusses how to recognise God's anointing on your life and how to confidently move into it; even when it requires sacrifice. Join us as guest speaker Pastor Aaron Berko of New Life Church Canterbury shares an inspiring message of hope.<br /> <br /> *Please allow for the first 2-3 minutes of poor audio quality. In this message Chris talks to us about three things: an encounter with the Gestapo, immigration, and yoghurt. Tune in to find out how these three things help and inform our discipleship journey and its outworking in community. What does it truly mean for us to say that God's word is a light to our path and a lamp to our feet? Tune in to find out. This week, Tyler concludes our 'a view from above' series with a message about humility. It's strange to think that humility is a sought-after asset in the kingdom of God when we live in a world which values self-promotion. Join us on this podcast to find out more. In this message, Robin shares an open and honest look at how God strengthens us in our weakness and how He uses our weaknesses to show us His strength. In this message, Tom shares with us the idea that the fruit of the Spirit is not something we can bring about ourselves but is entirely the result of the work of God in our lives. This week Tyler shares a challenging message about servanthood. Jesus demonstrated that he did not come to be served but to serve; we're called to live the same way! In this message Chris explores the idea of Wisdom through foolishness as presented in 1 Corinthians 1. We trace God's subversive wisdom through the ages, culminating in the 'foolishness' of the cross. Join us to find out what this means for your life. In this message, Tyler shares the Kingdom Paradox of increase through release. We're simply stewards of everything we have in this world and we're called by God to release it for the purposes of His Kingdom. When we begin to see things from above; from God's perspective, our mindset starts to shift. We are no longer consumed with our own thoughts and plans but we begin to live out the God-ordained plans for our lives. Tune in to find out how this view from above can help you change your mind. This morning Tom shares a message with us about how we as Christians ought to see ourselves from God's perspective. Tune in and be encouraged by this week's message. In this message, Chris shares a challenge about false starts in our spiritual race. Whether it's fear, a sense of disqualification, or even spiritual entitlement that is keeping us from running the race; we all have issues that need to be addressed. Tune in to find out more. Join with us as guest speaker Pastor Andrew Gallimore from Bridgewater Baptist Church shares a timely message about our spiritual health. No matter where you are on the journey, this message will be relevant to you! Tune in as Tyler shares this important message with us about learning to speak well over our lives. Today's guest speaker, Eliana Whyte is the principal of the International Bible Training Institute. Join us as she shares with us about our growth as followers of Christ. In the last of our 'Walk' series, Tyler looks at taking steps with God - what are the next steps that we ought to be taking in our lives with God? What is he calling you into? Join us for a one off message from our Guest Speaker Andy Wooldridge from HTB in London. Andy shares from Jeremiah 29 - explaining the idea of seeking the Shalom of the City. We're all called to seek the welfare and prosperity of God's Kingdom wherever we are. In this 'last in series' message, Tyler shares in Burgess Hill about hearing the voice of God; how we recognise and respond to His message. Join us as Robin continues our Walk series with a message about releasing the supernatural. Join us for this discussion about the communion meal. What does this mean for us today? How does the table shape our theology and our lives? Tune in as we discuss the meal in Corinth and its application today. Guest Speaker and graduating IBTI student Elisa shares a message about unity within the church as part of the celebration of the IBTI graduation this weekend at our Burgess Hill Campus. Tom continues our 'Walk' series in Burgess Hill; looking at the role of worship in our walk with God. Maëva continues our Walk series in our Brighton Campus with a message about worship. We are all called and commissioned by God to make disciples. This challenging, inspiring message by Tyler will help you realise that call and inspire you to do what God has called you to do. Walking with God is not something we can do without appropriate fuel for the journey. Join with us as Chris talks about how hearing God's voice gives purpose to the journey. Robin kicks off our 'Walk.' series in Burgess Hill with a message about valuing the presence of God. Over the next two months we'll be looking at walking with God and what that really means for our daily lives. In this message, Tyler concludes our Colossians Series in Burgess Hill with the 'closing greetings' of Paul. What can we learn from these greetings? How do they relate to our understanding of the Will and Call of God? Tune in to find out. Chris concludes our Colossians series in Brighton with a message from the final greetings of Paul in Colossians looking at our commission to 'tell, send, and do' in response to Paul's letter. Tyler continues our Colossians series in Burgess Hill talking about the 'three spheres' of Christian living; spouses, families, and employment - as noted from Colossians 3:18-4:1. Today's guest speaker, Graham Jeffrey, is a retired Baptist Minister with a message from Romans 8:28-39. Based on this passage we discover how best to respond when life doesn't go the way we planned. Ruth Stephens shares an inspiring message of how we ought to live in God's Royal Kingdom of love. We ought to have love for one another and honour one another. Tune in to find out more. Chris shares a message based on Colossians 3:18-4:1. We're looking at the Kingdom Cultural aspect of living in the tension of the 'now' and in anticipation of the 'not yet'. Our guest speaker, Michael Fischer from Neighbourhood church (Medicine Hat, Canada) continues our series in Colossians with an honest, prophetic voice into the life of our church. Tyler continues our Colossians series in Brighton as he discusses what it means that Christ is all and in all. How can we live that statement out? Tune in to find out. Tyler continues our Colossians series with a fantastic reminder that it's all about Jesus. This is not to be missed! In this message, Chris shares from Colossians 1:19-23 in our Brighton Campus. We look at the Cosmic Reality of Jesus' death and resurrection and the Personal Consequences that collective event has for us today. Join us for the second part of our Colossians series as Tyler shares on Easter Sunday about what Jesus' death & resurrection mean for us. Robin shares an encouraging, uplifting message about Joy and Hope this morning. We trust this will both challenge and bless you as you continue on your walk with God. Julian begins our Colossians series looking at the Supremacy of Christ. Chris shares a one-off message about blindspots - things which can cause us problems in our relationships with one another and with God. We don't see as much of the world as we think. Tyler concludes our 'Who is God' series in Burgess Hill with a message entitled God is Peace. It's not enough to simply think of God as one who brings peace but we need to realise that He Himself *is* peace and we can trust in that truth. Chris concludes our 'who is God' series in Brighton with the message that God is closer than we think. What if God was always present but we just didn't recognise Him? In this message, Maeva shares the message that God is Peace; even when our situation or the world around us looks peaceful, we know that God is Peace and He brings about Peace that passes all understanding. As part of our 'Youth Service', Hannah shares a message about the promises of God. This message reflects what the young people (11-16) have been learning on Sundays over a number of weeks. Guest Speaker, Charlotte Quist (from Canada), shares an inspiring, faith-building message in our Burgess Hill Campus. Make sure you tune in to this message which comes from the Sunday following our 'Awaken' ladies conference. Charlotte Quist shares in the afternoon session of our 'Awaken' ladies conference 2017. Do make sure you check it out! The morning session from our Awaken Ladies Conference 2017 by speaker Charlotte Quist from Canada. This is well worth listening to. Allow God to speak to you as He did so many ladies on the day. Join us this week as Julian discusses 'the God who sees'. We realise that God doesn't just see from afar; He sees each and every one of us and passionately cares about our situations. Join us as Tyler looks at the story of Abraham and God's name 'Yahweh Yireh' - the LORD will provide. He looks at the fact that God is our provider Physically, Spiritually, and Emotionally. Join us as Chris looks at the story of Abraham and God's name 'Yahweh Yireh' - the LORD will provide. Chris shares some of his own story about God's provision along with some key biblical passages. Join us for this incredible message and real-life healing story of Hugh (one of our church members). Tyler shares about God as our healer and Hugh tells his own story of God's healing power in his life. This week, Tyler is looking at God as our shepherd. As we journey through this question of 'who is God' our sermon series begins to look at how God is defined in the Bible. Tyler discusses Psalm 23 to see God as our Shepherd and all that it means for us today. In this opening message from our new series in Brighton, Julian shares about the father heart of God. God is our heavenly father and His fatherhood speaks to both His character and His relationship with us. To open our series 'Who Is God?' in Burgess Hill, Ruth shares a message about the goodness of God. We remember the phrase 'God is good' and the reply 'all the time'. But what does that mean for us as we go about our lives? Join us this week as Tyler shares a message with us about our Citizenship in Heaven taken from Paul's letter to the Philippians. Join with us as Chris shares a message about the Freedom we have in Christ. Discover that you're not only free 'from' certain things but you're also free 'for' a reason. Julian shares with us in Brighton. As we continue to explore our Identity in Christ, we look at what it means to be God's workmanship created in Christ Jesus. Tyler shares in our Burgess Hill Campus about the Freedom we have in Christ Jesus. 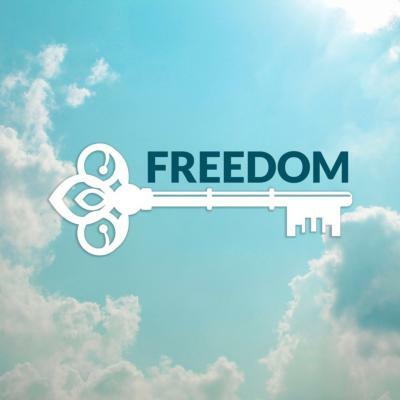 Why not have a listen and allow God to speak to you about the freedom He's given to you? Tyler kicks off our Identity in Christ series for the new year as we discover who we truly are in Christ Jesus. Tune in and discover your identity. At the start of this New Year, Chris shares a message in our Brighton Campus about how, perhaps, it may be better for us to be present on the journey and join the revolution of God's Kingdom rather than set individual New Year's Resolutions. Julian concludes our Advent series leading up to Christmas with a message about Jesus; the full expression of God's love for us here on earth. Tune in to hear more. Join us as our Guest Speaker Dr Mark Virkler shares 4 Keys to Hearing God's Voice. And why not grab a pen & paper and put into action what Dr Mark teaches us this morning. Join us as we begin our Advent series with a message on Hope and Peace by Chris. Looking at how we can have the Hope that God is on the throne even if the world tells us otherwise and how that hope can lead us into a lifestyle of peace. Tom concludes our Faith at Work series with a message about how faith ought to work itself out in our relationships. Life is about relationships with others whether family, friends, work colleagues, or church; we're built for relationship with one another and with God. Tune in to find out how faith can play an active role in all your relationships. Julian shares about how faith works itself out when disappointments come along. In life things don't always go the way we plan - find out how to process those moments from a perspective of faith. This morning Tyler shares in our Brighton Campus about having faith in our finances. Our financial lives can be difficult to manage and balance correctly from a perspective of faith. Tune in to hear Tyler's wisdom on this topic. Is it enough for our faith to be active on a Sunday? How do we move in faith in our places of work, school, or college? What does a week worked out through the lens of faith even look like? Tune in as Tyler takes us on a journey of faith. Tyler, Julian, and Chris all share in this 3-part message as our month of vision draws to a close. We met as two campuses together in Brighton for our 'Engage' service as we discussed what it means to live as a community of believers. Chris continues our 'Overflow' series; looking at the heart attributes of the church. This week we're looking at 'encountering'. Actively seeking and moving in the gifts of the Holy Spirit. We're encouraged to encounter the Spirit in our meetings together and in our daily lives. Tyler continues our 'Overflow' series; looking at the heart attributes of the church. This week we're looking at 'encountering'. Actively seeking and moving in the gifts of the Holy Spirit. We're encouraged to encounter the Spirit in our meetings together and in our daily lives. Tyler continues our 'vision' month talking about the third of our Church's heart attributes: empowering. We're called to play our part in God's kingdom and we want to empower you to fulfil your potential. Julian continues our 'Overflow' series about the vision of Centre Church. This time we're looking at the second of our 'heart attributes'; Enabling. As a church we want to enable everyone to be everything they can be in Christ, it's a life long journey of discipleship that works best in community! Tyler continues our 'Overflow' series in Burgess Hill about the vision of Centre Church. This time we're looking at the second of our 'heart attributes'; Enabling. As a church we want to enable everyone to be everything they can be in Christ, it's a life long journey of discipleship that works best in community! Join with us in the month of vision; looking at the five attributes that overflow from the heart of Centre Church. Today, Tyler shares the first of these with us; Enlarging. We want to see God's Kingdom grow in size and depth! Chris finishes our 'Pray' series with a message based upon Ephesians 6:18, encouraging us to pray in the spirit on all occasions. But what does it really mean to 'pray in the spirit?' and what does the apostle Paul mean by 'on all occasions?'. Tune in to find out. The third in our 'Pray' Series and the first ever 'live link' video service (video available on facebook). Tyler shares that our prayers should be fervent. Join with us. (Our apologies for the audio quality). Julian kicks off our new called Pray. He shares with us about persistence in prayer - Jesus told us to ask, seek, and knock and from this Julian explains how we are to be persistent in our prayer. Tyler takes on our second subject in the 'Pray' series and looks at the prayer of faith based upon a passage in James 5. Tune in to find out more. Tyler concludes our mini-series on Nehemiah. When it comes down to the actual job of doing God's will, you will encounter opposition, ridicule, and doubt. Don't give up! God has spoken and God will bring you through the situation! Chris continues our Genuine Faith series looking at the trusting God based on James 5:1-12. Tune in to find out more. Tyler shares the second message in our Nehemiah series about 'counting the cost'. Sometimes, when God speaks to us and stirs something in our hearts we want to rush into it - Nehemiah didn't. He planned, he assessed, and he counted the cost so that he was fully prepared to do the task God had set before him. Tune in to see how we can apply this to our own lives! Continuing our 'Genuine Faith' series, Chris takes on James 3:1-12 looking at the aspect of 'taming the tongue'. Is it something that we're required and able to do? Or is it something that results from the healing and restoration of a life in the Spirit of God? Nehemiah's story is an incredible one; restoration of the walls of Israel, rebuilt as a result of Nehemiah answering God's call. Tyler looks as Nehemiah as an ordinary hero. A man whose heart is moved by God's compassion for Israel. He wept and prayed over the city and God used his availability to re-build the walls of Jerusalem. In this podcast, Tom takes us on a 'worship journey' into the Holy of Holies. Tom explains how the different elements of the tabernacle and the temple in the Old Testament can relate to our own worship journeys today. Chris finishes off our series on Philippians with a message to build faith in us all; You Can Do It. When Paul said 'I can do all this' he was referring to specifics in his own life. What is your 'all this'? With the strength of Jesus Christ you too can get through it! This year at our Summer Celebration, Julian and Tyler shared a 'tag-team' message called 'So Very Valuable' which reminded us of the value that God places on each and every one of us, His plan for our lives, and how we are all valuable members of His body, the church. In this second sermon from our series 'Genuine Faith', Chris looks at James 1:13-27 and unpacks the theme 'don't be deceived' in the areas of how God moves and how we respond. Tune in to find out how this applies to your own life. In this sermon, Tyler looks at the list in Philippians 4:8 and how our thought lives should reflect and focus on the things of God rather than the things of this world. Tune in for some practical tips on how to apply this passage to your own life. In this opening message of our new series, Brighton Campus Pastor, Julian shares an encouraging message about Faith. We explore the fact that trials and tests will come to believers and we are called by James to consider them 'pure joy'. In the first of this new series looking at the apostle Paul's final exhortations to the church in Philippi, Tyler shares that our lives are constantly changing. In fact, change is the only constant in our lives. Yet in all of these changes and uncertainty, we're called to rejoice in the Lord always; He is the one who never changes - He remains the same! *We apologise for the poor audio recording* In this 'one off' sermon, Julian shares at our combined service that we are called to GO in the strength we have. Strength that comes from the Lord; he is our refuge and strength in all things. In this sermon Julian continues our 'Discipleship 101' series by encouraging us to do what Jesus did. It's not enough to simply be hearers of Jesus' words without putting them into practice. He is our example; our prototype of what it looks like to be truly human and we are called to be His disciples and, thus, to live like He lived. In this sermon, Julian shares in our Discipleship 101 series. He challenges us to remain in the word of God. Jesus wanted His disciples to continue in His truth and we, as His disciples, are called to do the same. What is forgiveness? Why should we forgive each other? Why is it important? In this message Samuele shares with us that is not only God, our good Father, who forgives; we are also called to forgive one another. Tune in to find out more. In the last of our series from the Burgess Hill Campus, Tyler shares about 'Making Disciples'. Discipleship doesn't end with our own relationship with God. We're called to go and make disciples. How do we answer that call? What does it mean to make disciples. Tune in to find out. In this message, Chris shares about how a disciple should be a person of discipline. Someone who is committed to self-discipline and receptive to God-discipline. Tune in to find out more. In this episode, Tyler introduces our Brighton Campus to the Discipleship 101 sermon series. Setting out the truth and reality that there really is only one type of Christian; A Disciple. In this episode Tom continues our Discipleship 101 series with the topic 'love'. Why should a disciple be a person of love and how can we hope to show and share the love of God with those around us? Tune in to find out. In this sermon Tyler continues our 'Discipleship 101' series by encouraging us to do what Jesus did. It's not enough to simply be hearers of Jesus' words without putting them into practice. He is our example; our prototype of what it looks like to be truly human and we are called to be His disciples and, thus, to live like He lived. In this talk Julian speaks to our Brighton Campus about being a strong community. We are called to grow together and with one another. Tune in to find out what playing your part in a strong community looks like. In this sermon, our guest speaker Michele (a student from the IBTI) shares in our Discipleship 101 series. Michele challenges us to remain in the word of God. Jesus wanted His disciples to continue in His truth and we, as His disciples, are called to do the same. Join us for this Pentecost Sunday sermon by Chris about how we, as Christians, can and do carry the presence of God with us. We hope you are encouraged by this message. In this sermon, Tyler shares with us about discipline. We've been called to be disciples of Jesus and with that call comes the tough but necessary role of discipline. How and why does God discipline us? How and why should we discipline ourselves? Tune in to find out. In this first episode of our new series 'Discipleship 101' Tyler looks at just what it means for us Christians to be called 'disciples' or followers of Christ. We recognise that God wants us to become more like Him day-by-day. In this one-off sermon in Brighton, our guest speaker Irene (a student from the IBTI) shares a message with us about Nehemiah. Irene challenges us that the 'joy of the Lord' is a status of being not feeling and, in all situations, we ought to echo the words of the scripture that 'the joy of the Lord is my strength'. Our guest speaker, Aaron Berko; Senior Pastor of New Life Church Canterbury, shares a message about God calling His greatness out of our weakness. Tune in to hear this faith-building message. Continuing our 'Tools of the Trade' series, Tyler shares a message about authority. What is it? To whom is it given? And when & how can we use it correctly? Tune in to find out. Julian looks at Who we are in Christ when expressed in Christian community. We should never underestimate the power of Christian community; God designed us to be part of a community - tune in to find out more. In this Podcast Chris shares a message with us from Galatians 3:26-29 about our identity in Christ. We all take part in a story that's larger than ourselves and we can begin discovering our own stories today. In the first sermon from our new series 'Tools of the Trade', Tyler looks at discernment. God has given us the tool of discernment to be able to recognise His truth. However, we need to properly use this tool by finding out what His truth is in the first place. In this episode, Tyler looks at the life of the prophet Elisha as a man who carried the Spirit and Presence of God with him. How can this inform who we are in Christ? Tune in to find out. In this talk Tom shares with us about Jesus' role as the King; the messiah; the chosen one sent from God to dwell amongst us and build His Kingdom here! Why not listen in. In this series, Tyler has been looking at the different aspects of Jesus as He is described in the New Testament. This week, he looks at Jesus as the Great High Priest in Hebrews 4. In this Easter Sunday sermon, Julian shares with us the idea that God has opened our eyes to the resurrected Jesus. God has unlocked all these things for us. Check out the Podcast! Julian shares a message with our Brighton campus about our new identity in Christ; we are no longer citizens of this world who focus on the things of this world, we are citizens of Heaven who focus on the things of God. Tyler shares a message with our Burgess Hill campus about Jesus' work on the cross; the tearing of the temple curtain and what that means for us today! Our guest speaker, Andrew Parfitt, shares a timely message asking the question 'how is your soul'. If you missed it on Sunday, do tune in and listen. Julian shares a message about the things that God has reserved for us as his adopted sons and daughters. Julian rounds off our 'back to basics' series with a message about faith. What is it and how can we have it?! In the next instalment of our Back to Basics series, Chris tackles the subject 'Community'. Chris asks the 'what', 'why' , and 'how' questions of community revealing that being part of a Godly community is vital for all believers. In this Podcast, Tom shares a message based on Joshua 1:6-9. He discusses the fact that God is calling us as a church community to trust Him by faith and walk the path He has laid before us; even if we don't know what that will look like! In this Podcast, Giovanni shares his own story about coming to faith in Jesus Christ and how he came to move from Italy to live in England. In this podcast, IBTI student Maeva shares with us a practical and biblical message about the importance of prayer in our daily lives. In this message, Julian shares the tough side of love! Sometimes it's hard to love people (all people!) and Julian shares some of his own experience and gives us tips on why and how we ought to love people. Guerrilla Christians are everyday people who are filled with the Spirit of God! We're all called to be Guerrilla Christians, using what we have to win people and build the Kingdom of God. Our 'back to basics' series is all about getting the basics right. This week, Tyler takes a look at the bible; God's Word which we sometimes neglect. God is Gracious...so we don't have to prove ourselves. In this message, Julian looks at how we can rest in God's grace. He uses the story of the woman caught in adultery and Jesus' response to her found in John 8:2-11. Why not tune in and find out about God's graciousness. Our 'back to basics' series is all about getting the basics right. This week, Tyler shares with our Burgess Hill Campus about the story of Mary and Martha and how we ought to keep knowing Jesus and being in Him. God is Good...so we don't need to look elsewhere. Julian shares the second message in our 'New Perspective for a New Year' series. This time, he looks at the story of the rich young ruler and shares the message that we don't need to try to impress God; He just wants our hearts. What does it truly mean to be 'born again'? Tyler shares a message at our baptism service in Burgess Hill explaining what it means to be born again. God is Great...so we don't need to be in control. Julian shares the first message in our series 'new perspective for a new year'. In this message Julian uses the story of Jesus walking on the water to tell us about how Jesus sees us, responds to us, and breaks in to our lives. At the start of this new year, Tyler shares a message with us about going for gold this year. We need to live intentional lives; we're called to press on towards the goal. Why not listen in and hear how God can change your life at the start of this new year. In this message, Samuele shares something to set us up for the new year. He shares that to taste victory in this coming year we are to die to self.<br /> *Apologies for the sound quality during the first minute of this podcast. What is our perspective? Where is our focus?<br /> Tom shares a message with us right at the end of 2015 which challenges us to re-focus and ask some questions about our perspective and how it lines up with God's perspective. Tyler shared a short message during our Family Christmas Carol Service in our Burgess Hill Service. Tune in to find out what he shared with us at this special time of year. This week Tyler continues our advent series; God, His plan, and you. Tyler looks at the life of Joseph; an ordinary person who God used in an extraordinary way. In the run up to Christmas Eliana shares a message with the Burgess Hill Campus about Increase. She looks at the passage in Isaiah 9:6-7 and asks how it can inform the way that we see Jesus and remove the limitations in our faith. This week, Chris continues our mini-series on biblical prayers. Looking at how the Lord's Prayer should offend us into action. We ought to be living our lives differently upon recognition of who we are and whose we are. This week Julian looks kicks off our Advent series in Brighton with a message about Zechariah; an ordinary person who God used in an extraordinary way. Tom finished our 'Everything We Need' series in our Brighton Campus with the message that we should make every effort to 'add love' to our faith. Tyler kicks off a number of talks based loosely on the theme of prayers in the bible. This week he looks at the character Jabez in the old testament and what we can apply from his prayer to our own lives. In this final episode from our series 'Everything We Need', Tyler talks about love. He discusses this great attribute that we ought to be making every effort to add to our faith. Tune in as we wrap up the series which we hope you've enjoyed! In this episode Chris tackles the idea that we should add Godliness to our faith. This message, recorded at our Brighton Campus, is the latest in our series 'Everything We Need'. Tyler looks at the fact that we should be adding brotherly love to our faith. In this series; 'Everything We Need', we've been looking at all the attributes that 2 Peter says we should be adding to our faith. Tune in to find out how 'brotherly love' can work out in a practical sense. This week Tyler shares with us the attribute of Godliness from our study passage; 2 Peter 1:3-11. Our text tells us that we've been given everything we need to live a Godly life but we should also be adding the attribute of Godliness to our faith. Join with us as we dive in. This week, Julian looks at the next attribute in our 'everything we need' series. Our passage in 2 Peter 1:3-11 says that we should be adding perseverance to our faith but how do we do that and what does it look like in our lives? This week Tyler shares with us about the attribute 'self-control' that we are to add to our faith. In this continuing series you'll find a systematic look at this passage which we hope will empower and equip you to add these things to your faith. Join us this week as we have a guest speaker from Christians Against Poverty sharing with us. 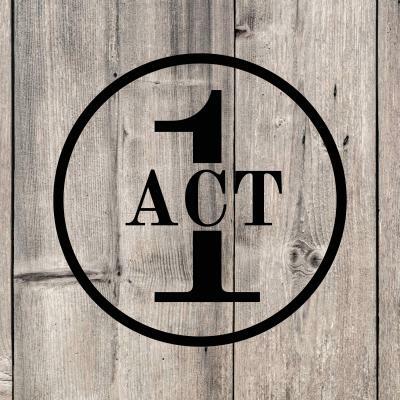 This week, Tyler looks at the second attribute that, according to 2 Peter 1:3-11, we ought to be adding to our faith. Listen in as we look at the attribute of knowledge. In this podcast Julian takes us further into our study of 2 Peter 1:3-11 as he looks at the second attribute; knowledge. We should be adding knowledge to our faith but how do we do that? Tune in to find out. In this episode, Chris looks at an overview of 2 Peter 1:3-11 and explores what it means for us to have been given everything we need to live a godly life. He then takes on Peter's statement that we should 'make every effort' and looks at the first attribute in the list; goodness. As we look further into our series on 2 Peter called 'Everything We Need', Tyler looks at the attribute 'goodness' that we should be making every effort to add to our faith. Tyler opens up our new series on 2 Peter looking at Chapter 1 vv. 3-11.<br /> Following on from our weekend away, Tyler challenges us with these verses at the beginning of Peter's second short epistle.<br /> We have been given everything we need to live a godly life so what's stopping us? Julian looks at the story of Zacchaeus and asks the question 'what does it look like to stand out in the crowd'. Tune in to find out what this story means for your own life. This week, Chris delivers a challenging message about loving those around us and taking the kingdom of God out into the community around and about our church building.<br /> *We apologise for the poor audio recording. Hannah shares a message of hope for those who don't feel like life is 'all as it should be'. What can we do when we feel like we're outside of God's plan or His will for our lives? How can we keep serving Him even in the hard times? Tune in to find out. Tom shares a message with us about living 'above the line'. How should we live when no-one is looking? Does it really matter how we respond in those tough situations? Tom dives into some thoughts on these topics and shares some of his own journey of understanding and coming to terms with God's amazing grace. In this podcast Julian shares about the idea of 'finding ourselves'. How do you 'find yourself' and what does that really mean in light of who God says we are? Tune in to find out. In this podcast our Guest Speaker, David Goodenough shares a number of stories with us from his own experience about how God works in all situations, bringing together all sorts of seemingly disjointed experiences to work together for His kingdom to grow. If you want to be inspired about how God moves in every area of our lives, why not tune in. In this talk, Chris shares with us the idea that wherever we are, we are called to do something. That something is to be actively involved in bringing about the Kingdom of God. We hope you enjoy this challenging message from Centre Church. What's God's plan? How does it involve you and I? Join with us this week as David looks at the lives of Abraham and Moses and discusses how we can know and be involved in God's Master Plan. In this talk Donna encourages us to keep on believing. She shares stories of those who have kept believing for a miracle or a breakthrough and reminds us, as a church, to do the same. Whatever it may be, all things are possible with God. Don't give up. This week Tom shared a message of hope with us. Please tune in and be challenged and encouraged to be filled with the presence and power of God. In this talk Julian looks at forgiveness. He shares with us that it can be tremendously difficult to forgive others but, through the grace of our Lord Jesus Christ, we can foster a spirit of forgiveness. Tune in this week as Tyler challenges us about hearing God's voice, God's will for us, and God's plan for our lives. This dynamic message will help you if you don't think you're hearing God's voice or know His will in a season of your life. Tyler shares that we need only turn to the scriptures; God has spoken to us through his Son. In this talk Julian asks us what it would look like if we dispensed the hope that we have in Christ to those around us. He revisits one of the churches five heart attributes and encourages us to share this message of hope with others. In this talk Chris shares from Hebrews ch4. We look at the person of Jesus and the idea that we are who we are because of who Jesus is. We hope you enjoy this message. Contending for breakthrough has been our theme throughout our Daniel fast, but it is important to recognise that we're not just contending for breakthrough in specific times of fasting. we ought to be contending for breakthrough as a lifestyle. Tune in as Julian discusses how we can embrace this through the parable of the persistent widow. In this message, taken from a baby dedication service, Tyler shares a message of Salvation; encouraging us, whatever our circumstances, to turn to Jesus. Jesus can and does radically transform lives for the better and we encourage you to listen to this message whether you'd consider yourself a follower of Christ or not. This week,Julian shares about 1 Samuel 1-20. The story of Hannah, contending for breakthrough in conception and childbirth. Julian says that in the processes of life; though we can't always see the breakthrough, we need to contend for our purpose. For Hannah that was childbirth. What is it for you? If we want breakthrough we need to change our perspective. Just as Ezekiel saw a valley of dry bones and God asked if those bones could live, so we see a metaphorical valley of dry bones in our own lives. God is asking 'can these bones live'. The answer is, emphatically, yes. This week, Julian begins to 'prime the pump' so to speak, about how we contend for breakthrough in our Brighton campus. Right at the start of our Daniel Fast, we explore the ideas of pressing in to God and really praying and fasting intentionally for areas of breakthrough in our own lives and the life of our church. What we see around us is not the whole picture. We live in the physical but we also live in the spiritual. This week Tyler explores how we can contend for breakthrough with our eyes wide open to the spiritual realities and tensions therein. In this one-off message, Chris shares about how and why we should respond when things don't go the way we planned. Should we discharge, shout our mouths off, and blame; or should we be slow to speak and quick to listen? Chris encourages us to cultivate community and build each other up. In this message, Julian encourages us to press in to God and really contend for breakthrough. We are a people who say that we believe for the impossible; but do we really? As a church we're starting a Daniel fast in order to focus ourselves on contending for breakthrough. Julian shares a little of what that may look like for each of us. Tune in to hear the fifth 'heart attribute' of our vision month, Overflow. This fifth 'heart attribute' of Centre Church is shared by Tyler Evenson & Julian Price. We hear about what it means to be a community who actively grow together. We believe that life is better when we do it together. That's why we say there's a place at the table for everyone. These heart attributes are the things we say we are as a church. Tune in to hear the fourth 'heart attribute' of our vision month, Overflow. This fourth 'heart attribute' of Centre Church is shared by Tyler Evenson. We hear about what it means to be an encountering church and how we ought to be moving in the gifts of the Holy Spirit. We want to be known as a community that moves in the gifts of the Spirit and whose ministry is empowered by the Holy Spirit, to the glory of God. These heart attributes are the things we say we are as a church. Tune in to hear the third 'heart attribute' of our vision month, Overflow. This third 'heart attribute' of Centre Church is shared by Tyler Evenson. We hear about what it means to be an empowering church and how we can be involved in empowering one another to play our part in God's Kingdom. We are called to be serve one another and our wider community. At Centre Church we want to empower everyone to serve in the way God has called them! These heart attributes are the things we say we are as a church. Tune in to hear the third 'heart attribute' of our vision month, Overflow. This third 'heart attribute' of Centre Church is shared by Julian Price. We hear about what it means to be an empowering church and how we can be involved in empowering one another to play our part in God's Kingdom. We are called to be serve one another and our wider community. At Centre Church we want to empower everyone to serve in the way God has called them! These heart attributes are the things we say we are as a church. Tune in to hear the second 'heart attribute' of our vision month, Overflow. This second 'heart attribute' of Centre Church is shared by Julian Price. We hear about what it means to be an enabling church and how we can be involved in enabling one another to be trained, equipped, and encouraged for the work God has for us. We are called to be disciples, called to follow and imitate Jesus. At Centre Church we want to enable everyone to press on toward the goal! These heart attributes are the things we say we are as a church. Tune in to hear the second 'heart attribute' of our vision month, Overflow. This second 'heart attribute' of Centre Church is shared by Tyler Evenson. We hear about what it means to be an enabling church and how we can be involved in enabling one another to be trained, equipped, and encouraged for the work God has for us. We are called to be disciples, called to follow and imitate Jesus. At Centre Church we want to enable everyone to press on toward the goal! These heart attributes are the things we say we are as a church. Tune in to hear the first 'heart attribute' of our vision month, Overflow. This first 'heart attribute' of Centre Church is shared by Julian Price. We hear about what it means to be an enlarging church and how we can be involved in loving people in Church and our wider community, and the world. Enlarging the church both locally and globally. This is the first of our five heart attributes; the things we say we are as a church. Tune in to hear the first 'heart attribute' of our vision month, Overflow. This first 'heart attribute' of Centre Church is shared by Tyler Evenson. We hear about what it means to be an enlarging church and how we can be involved in loving people in Church and our wider community, and the world. Enlarging the church both locally and globally. 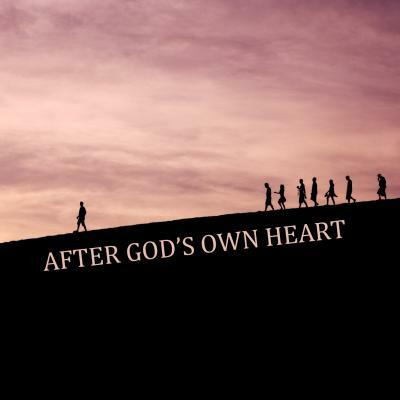 This is the first of our five heart attributes; the things we say we are as a church.<br /> *Warning - Poor Audio Quality*<br /> Due to a technical error, we have only managed to recover a backup recording of this sermon. We apologise for the poor audio quality of this recording. As we close our Everyday Christianity series, Chris shares some thoughts about purity. Tune in to find out what it means to live a life of purity in our everyday lives; and how we balance our response with grace and love. To finally close our Blessed series, Tyler shares a message from the last section of Jesus' famous sermon on the mount. Where do you put your foundations? Rock or Sand? We apologise for the poor sound quality in this recording. As part of our Everyday Christianity series, Tyler looks at the aspect of finance and asks the question; 'How do we act, as Christians, with our finances?' Are our finances our own or are we simply stewards of everything God has placed in our hands? Tune in to find out. What does Jesus mean when he says the persecuted are blessed? How can we apply this today? Julian rounds off the main part of our Blessed series with these thoughts. Samuele shares a fantastic message with us about what it means to be victorious in Christ. We all like to be blessed, winning, and victorious; but how can Christians know and experience this in their own lives? This week, Joy Dawes shares a message exploring the idea that the peacemakers are blessed. What does it mean to be a peacemaker? and how can that peacemaker be someone who is blessed? Tune in as we explore God together. Tyler shares an Easter Sunday message with us as we remember the resurrection of Jesus Christ. Julian shares an Easter Sunday message with us at our Brighton Campus as we take time to focus on the resurrection of Jesus Christ. Hannah takes a look at 5 biblical characters who all had encounters with Jesus and asks, 'what can we learn'? Today's talk formed part of a youth-led service with Hannah, who looks after our youth, preaching around some of the examples that the youth have been looking at. In this talk, Chris tackles the sixth in our #Blessed series which is all about being pure in heart. He asks what does it mean to be pure in heart and what did Jesus mean when he said that those who are pure in heart will 'see God'. So why not tune in as we explore God together. As part 3 of our Everyday Christianity series, Tyler looks at Marriage and specifically asks what it looks like to live our married lives through the lens of Christ. Julian gives the next talk in our #Blessed series. He looks at what it means to be merciful and how you can be blessed by being merciful. Tyler tackles the next in our #Blessed series and explores what it means to hunger and thirst for righteousness. The second talk in our 'Everyday Christianity' series; practical thoughts for our daily lives with God. Julian looks at what it means to raise children in a Christ-centred family setting. This talk comes with practical, bible-based tips for instilling the love and compassion of God into your children. This week, Tyler kicks off our new series 'Everyday Christianity' with a discussion about what it means to live out your faith in the workplace. This practical series is designed to help us to have the attitude of Christ Jesus in our day-to-day routine. In this episode, Thomas shares a message calling us to meekness. As we explore the beatitudes of Jesus in Matthew 5, Thomas asks what it really means to be meek and shares some thoughts about how the meek can be blessed. How are those who mourn truly #blessed? Julian looks at the second beatitude in Matthew 5 v.4 and discovers that those who mourn truly are blessed. Trust in the Lord? - Whose faith is it anyway? Why do we have faith in God? How can we be assured? is it a case of abandoning logic and reason to have faith? Chris explores these questions as we round off our Faith series. Chris kicks off our new series #Blessed with a sermon on the first 'beatitude' found in Matthew Chapter 5. Over the next few weeks, we'll be looking at all of these statements by Jesus and how we can apply them to our own lives. This first talk, poor in spirit, speaks of the 'upside-down' kingdom of God and how being blessed doesn't necessarily mean what we think it means! Tyler discusses that famous passage in the epistle of James. What does it look like when faith and works are joined together? How can faith and works co-exist and why should they? Join with us as Tyler rounds off our Faith series. In our final 'about the one' session, Julian looks at Jesus as 'the one'. The one who gave everything for each and every one of us. Join with us as we explore God together. Guest Speaker, Andrew Parfitt, shares with us a great message about keeping on fire for God. The early pentecostals used to sign off their letters 'KOF' meaning 'Keep On Fire'; but have we lost some of that fire today? Andrew challenges us to keep on fire for God. Prayer. What's it all about? Are we more concerned with the things we're bringing to God than just talking to Him as a friend? Andrew Parfitt, our guest speaker, shares a great message about prayer and how it can, and should, be a part of our daily walk with God. Julian discusses Everyday Faith. What does it look like to have faith and live by faith in our day-to-day lives? Check out this podcast and find out how to apply 'faith' day-by-day. What's so pressing about the parable of the lost coin? As we continue our series #AboutTheOne, Tyler shares a message about Jesus' compassion and the value he places on the one. Chris takes our #AboutTheOne series on and shares a message that Everything's Not Lost. Using the parable of the 'Prodigal Son' in Luke 15, Chris explores where we find ourselves in this story and shares God's declaration that Everything's Not Lost because God is all about the one. Each and every one. Tyler kicks off our new Burgess Hill series on faith. He asks 'What does it mean for the righteous to live by faith?'. Check in every week to catch up with each new installment in this exciting new series! Jesus' life was concerned with the one, the one lost sheep, the one sick girl, the one blind man. He wanted to show love and compassion to that one person. What does it mean for us to go out and show compassion to the one? To the one who has no-one to love them or care for them? Julian explores this idea at Centre Church Brighton. Janet shares her heart with us about the Abundant Life that is offered in Christ Jesus. David shares a personal message about who God is & how he influences his 'here and now'. Join us as Tyler discusses servanthood. We serve a God who came not to be served but to serve. So let's discover what that means for us all today. Guest Speaker, Philip Duke, shares what it means to remain in Jesus' love, using a passage from the book of John. How can we remain in the love of Christ? What does that mean for our everyday lives? Join with us as we explore what it means to move from deep water to higher ground with the aid of our worship director here at Centre Church. Tyler explores what it means to have child-like faith. After seeing four young people being baptised, we explore what it really means to have child-like faith and what Jesus meant when he asked that the little children be brought to Him. Julian discusses the idea that the God of the Bible is a God of the impossible! God can do all things but how do we live in a way to set ourselves up for God to use us to achieve the 'impossible'. Nothing is impossible for God. In this talk, Chris discusses what it really means to be a part of the kingdom of God. He suggests that Christianity is less about how we become a Christian and more about how we live as a Christian. Maybe God's grace extends beyond salvation and is at work in our everyday lives. In this episode, Tyler concludes our series 'Everything in Common'. We discuss what it would be like if the Church, today, were to display the kinds of signs and wonders we see written in the book of Acts. In this episode, Chris looks at the Early Church in Acts, who devoted themselves to the breaking of bread, and compares them with the church in Corinth, who were written to about the division during their breaking of bread. We discuss the question; what does it mean to welcome all people to the table? Join with us as we begin to explore the Holy Spirit and his work in our lives and the life of our Church. In this episode, Tyler explores the idea that waiting on the Holy Spirit brings about real tangible change! Join with us as we begin to explore the Holy Spirit and his work in our lives and the life of our Church. In this episode, Tyler explores the idea that the Holy Spirit has the power to liberate us. What does it mean to be devoted to something? What does it mean to have everything in common? This week, Julian is exploring these ideas. We discuss what it meant for the disciples to have everything in common and be devoted to prayer. We discover what it means to be devoted to prayer in our own lives. Join with us as we begin to explore the Holy Spirit and his work in our lives and the life of our Church. In this episode, Julian explores the fruit of the Holy Spirit as described by the Apostle Paul in Galatians 5:22-23. Join with us as we begin to explore the Holy Spirit and his work in our lives and the life of our Church. In this episode, Tyler explores what is means to eagerly desire the gifts of the Spirit. He encourages us to search after these gifts and to use them to build up and encourage the Church. Join with us as we begin to explore the Holy Spirit and his work in our lives and the life of our Church. In this episode, Hannah explores how our view of Holy Spirit as a person can drastically help us shift our experience of Him from something distant and strange to someone profound and personal. Join with us as we begin to explore the Holy Spirit and his work in our lives and the life of our Church. In this episode, Tyler explores how the Holy Spirit enables and encourages us to change and grow in our relationship with God. This week, our guest speaker shares what it means to be all in for the kingdom of God in the context of Kosovo. We explore the journey of those Christians living 'all in' in the context of Kosovo. Julian explores what it means to be all in for the kingdom of God with the help of his wife Kyla and their testimony of Julian's participation in the 2013 Boston marathon. Love God and love people. It's the golden rule. But, how do we love others passionately? How does this reflect our love for God and God's love for us? Does being 'all in' for the kingdom require us to love people unconditionally? This week, Tyler explores the idea of a deep relationship with God and how that grows in the secret place. Join with us as we explore the theme of loving God together. In this episode, Julian looks at what it means to not just be abandoned to God but to be abandoned in Him. Join with us as we explore the theme of loving God together. This is our last ever Sunday as MSCC and the beginning of our new journey as Centre Church. Tyler explores what it looks like to remember to be thankful for the past and look forward to all God has for us in the future. Heather Thompson's 511 Kidz Training seminar. Copyright © 2019. All Rights Reserved. Registered Charity No: 1054436.